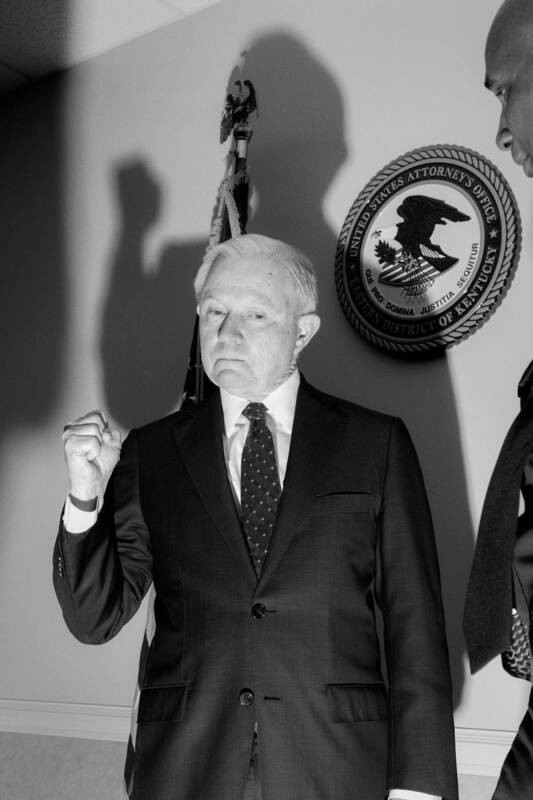 On March 29, TIME Magazine released a new issue featuring Attorney General Jeff Sessions. But the advertised in-depth interview is getting very little attention due to the apparently distracting nature of the cover photo. In 2011, I wrote… A Picture’s Worth of Bias, in which I looked at a pretty common practice by the mainstream media: publishing stories on Republican politicians that feature highly unfavorable photos of them. The latest example, back then, had come from a CNN online article on Bob Turner’s congressional win in New York, in which someone at the network seemed to have made a conscious decision to portray Turner as a maniacally laughing James Bond villain. And the graphic ABC News chose to use for a 2008 story on presidential candidates Barack Obama and John McCain campaigning in Ohio. The faces of both men were superimposed over an outline of the state, with Obama smiling optimistically, and McCain scowling and shadowed from under a lifted black collar. This is pretty ridiculous, even for Time. They would never portray a Democratic politician this way, unless maybe that politician had just been convicted of mass-murder. 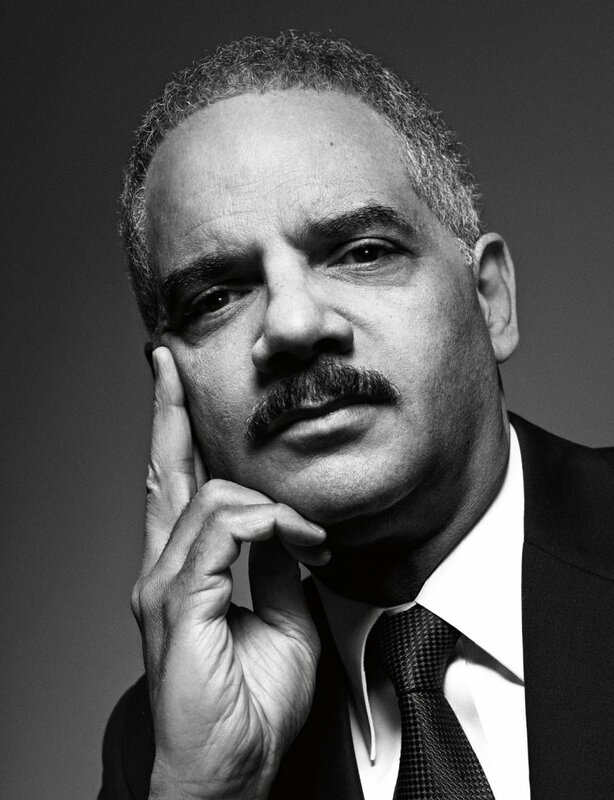 President Barack Obama’s Attorney General, Eric Holder, from Time Magazine’s 100 Most Influential People of 2014. Just a little bit different, I’d say. Biography-cover worthy, really. This is political bias, plain and simple. If Time were upfront about that bias, and presented itself as an ideological publication that courts liberal readers, there wouldn’t be a whole lot to discuss here. Openly conservative publications like National Review and Weekly Standard publish unflattering cover imagery of political opponents all the time. But Time still markets itself as a news source that doesn’t have any political skin in the game. Thus, stunts like this only serve to further damage the magazine’s credibility. You’d think they’d be concerned about this, but like many in the news industry (unfortunately), they don’t seem to be. 1. In his post, John Daly writes: “If Time were upfront about [its] bias, and presented itself as an ideological publication that courts liberal readers, there wouldn’t be a whole lot to discuss here. Openly conservative publications like National Review and Weekly Standard publish unflattering cover imagery of political opponents all the time. But Time still markets itself as a news source that doesn’t have any political skin in the game. Thus, stunts like this only serve to further damage the magazine’s credibility.” Do you agree with Mr. Daly’s assertion? Explain your answer. 2. Reacting to Time’s cover photo of Jeff Sessions, Democratic commentator Yashar Ali wrote in a tweet: “One of the things I really don’t like (and to the extent I can control it w/ my own stories, I do) is when news orgs pick unflattering photos to accompany their stories. There’s no reason for it..and it’s editorializing. If the person is bad news, let the story do the talking.” Do you agree with Mr. Ali’s assertion? Explain your answer. 3. 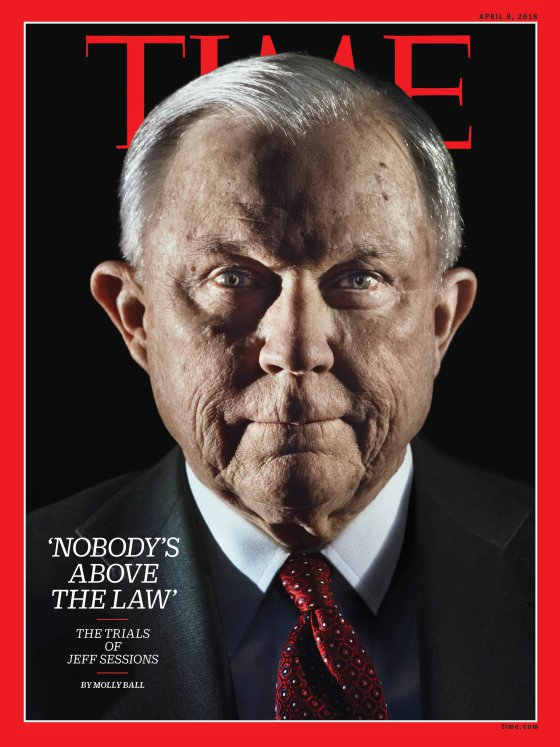 Why do you think Time Magazine ran such an unflattering image of Jeff Sessions on its cover?